The earliest reference is to the church being appropriated in 1177-81 when it was a Chapel-of-Ease to Sutton. 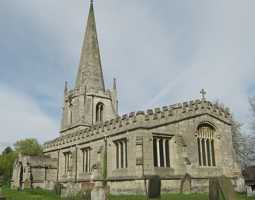 Two hundred years later, in 1380, the church was destroyed and rebuilt. It is an embattled building of Roche Abbey stone consisting of a nave, chancel, south aisle, south porch and tower with 4 pinnacles, containing 3 bells dated 1611, 1649 and 1787. An unusual feature is the four-sided tower chamfered into an octagonal spire. It is Perpendicular throughout, including the arcade on octagonal piers. The west window and that in the tower are the earliest, dating from about the 1380; the east window is of the 15th Century. Restoration by C J Neale took place in 1864 when the font and pulpit were replaced, the gallery at the west end removed and the Gray & Davison organ installed. The ancient font was sold to Americans in the late 19th century. The American interest is due to one of the Pilgrim Fathers, William Brewster, becoming the presiding elder of the Separatist Church at Scrooby before leaving for Holland, and thence America in 1620. There are 16th century benches in the south aisle, commonly known as Brewster’s Pews. 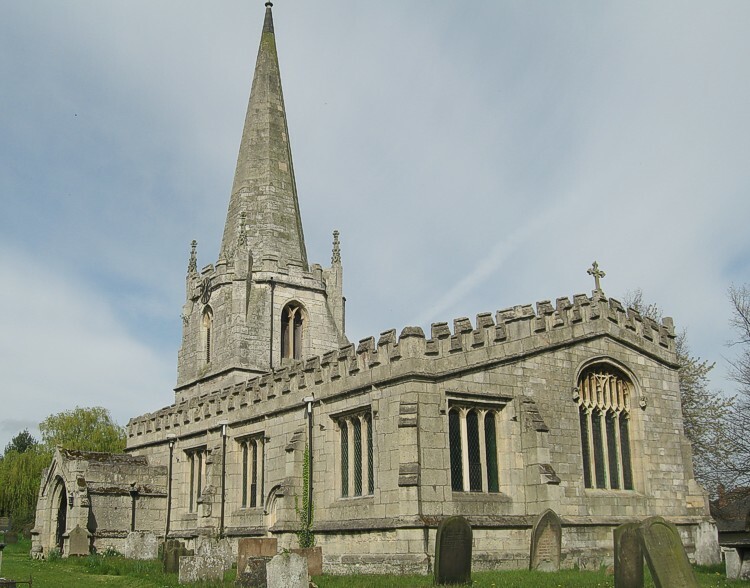 Scrooby has become a place of pilgrimage, especially by American descendants of the Pilgrim Fathers. Particular thanks to Hillery Harrison for research on this entry and to Geoff Buxton for the photographs.